I have a few birthdays coming up this month and wanted to add a little something handmade to the gifts. After seeing Katherine’s lovely lavender sachets, I was inspired to make some Lavendar Scented Closet Sachets using brightly coloured doilies and gingham for a more modern look. First up, I needed some doilies (or is it doileys?). I crocheted up a bunch in front of the TV using the pattern I blogged about here. (Please note that I re-taught myself to crochet out of an American book so the abbreviations I have used are US rather than Australian. I always forget what the stitches are called here). 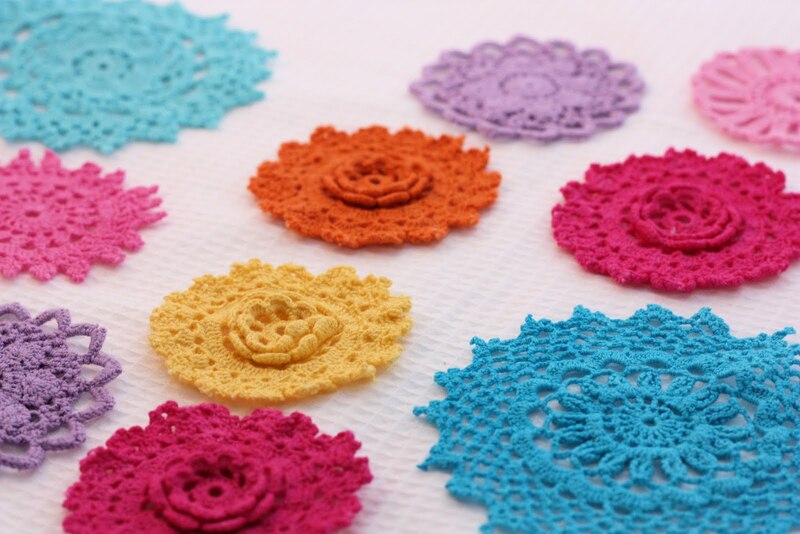 I also used some dyed doilies that I had on hand (bought from an etsy seller a couple of years ago). If you have an old crocheted tablecloth and want to dye it yourself, Clare has a great tutorial here. It would be a fun activity to get the kids involved in during the school holidays. I pulled out a stack of ginghams in different sized checks. Some bought from Japan and the rest from Materialise (local quilt store). Dried Lavender – approx 4 tablespoons. 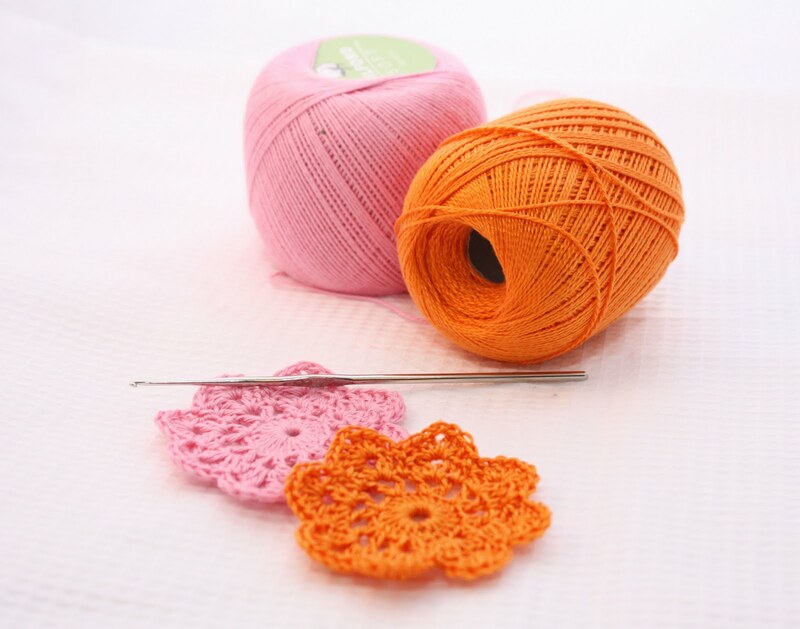 Stitch the doiley to the centre of one of the squares using a matching thread. 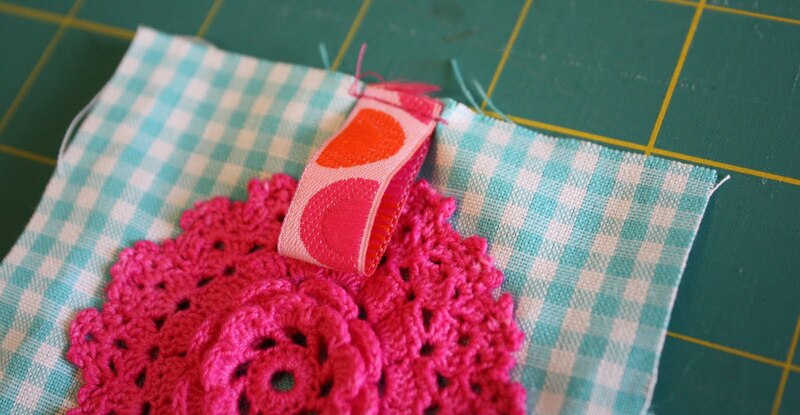 Fold the ribbon in half and stitch it to the middle of one side using a scant seam allowance. 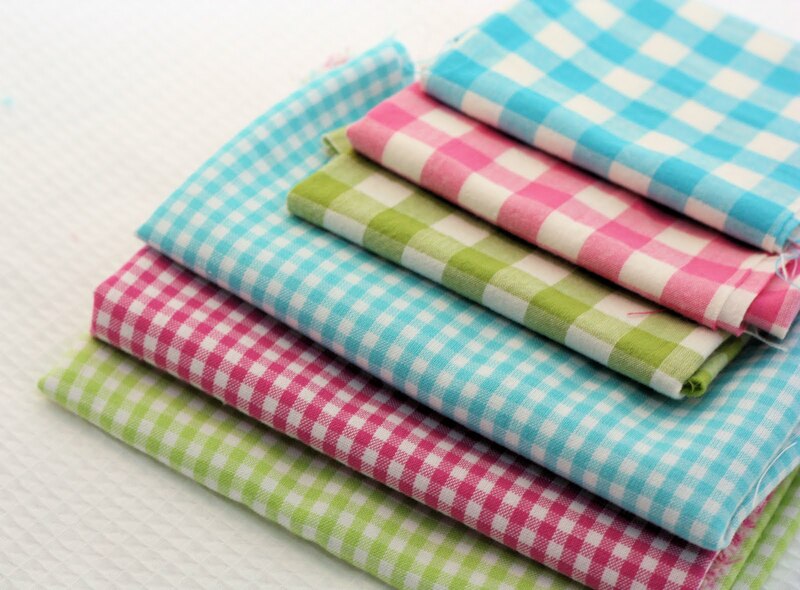 Layer the gingham squares together with the right sides facing. 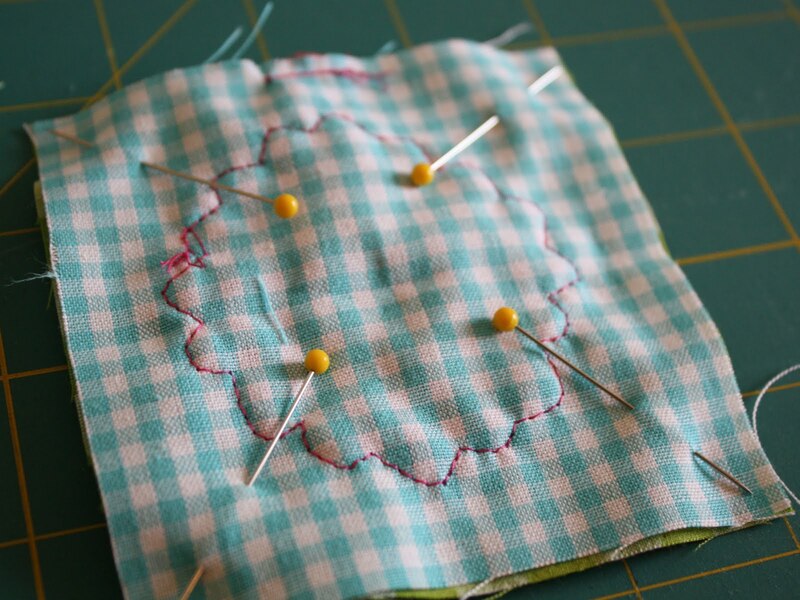 Stitch around the outside of the sachet using a 1/4 inch seam, and leaving a gap for turning on one side. Clip corners and turn the sachet the right side out. Press. Fill with lavender and then hand stitch opening closed. I am going to make up more of these to hang in my walk in robe. They can be attached to coat hangers or popped inside shoes to make everything smell fresh. Beautiful, I love the crochet doilies. What a great idea! I will be buying those doilies at thrift shops for sure now. Oh how lovely ! Thanks so much for a great idea as I just so happen to have a few extra and now I can make these , very clever . Great idea, and those colours are fabulous! these are so lovely ! Another thing that is fun sometimes, is to crochet a smallish doily with a hole in the middle. then you take some dried lavender and place it in a round of cheese cloth, boil the cheese cloth pouch of lavender like you would tea, and pour the hot water over the little cotton doily. Then when they have dried, you put the doily on the hangers in your closet. This is a prettier version of the cedar disks you can buy at department stores, and it keeps the moths away. This is also great to do if you store your yarns in containers that are prone to moths. put a couple of the doilies at the bottom of the container and stack in the yarn. Wow, Lisa, what a wonderful idea! I just love this creation and I love crochet as well!! It seems you have creative ideas every minute, creative and lovely I must say! Thanks for all the sweet comments you always write to me, dear Lisa. You make my days easier and happier!! Oh, Lisa, I love your sachets! What a fresh look those doilies have! I think I’ll try to dye some of mine and pair them with pretty fabrics like you did. Lindo, obrigada por compartilhar conosco…. What a great modern version of the Lavender bag! May even have to teach myself to crochet again for this one. Fantastic simple tutorial, thank you. They are so cute! I also started crocheting again! Perfect while watching TV ! 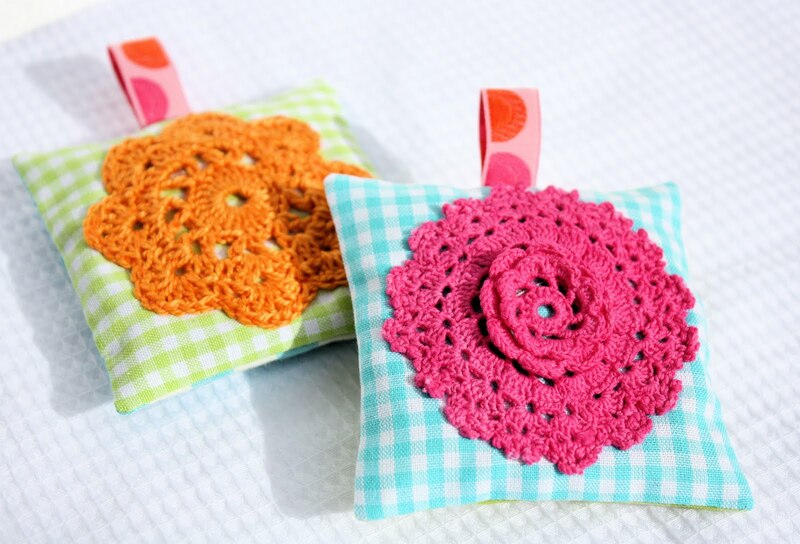 Lovely crocheting and these are so cute! Very Cute Lisa! I love the pretty, bright colors! Now even i could make these. 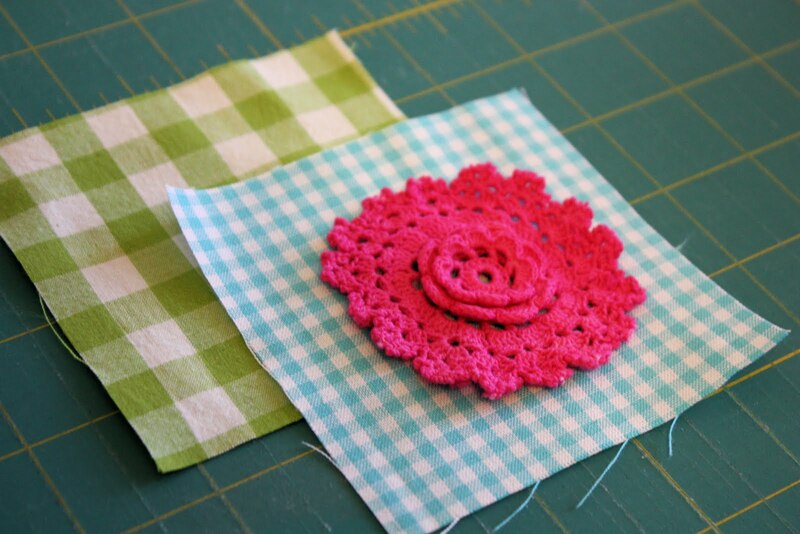 I think i might try cutting out some felt doilies with my PTI dies. 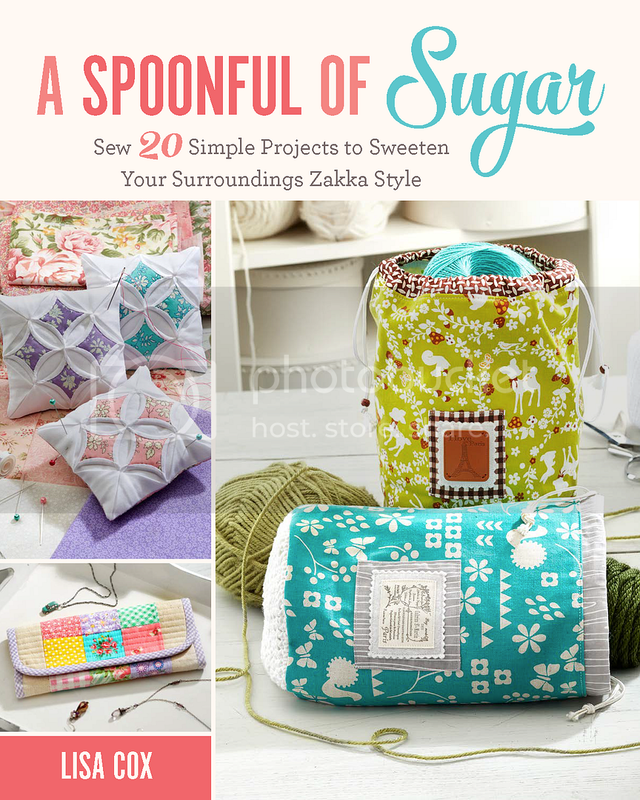 I just wanted to tell you that I found you via Craft Gossip. These sachets are beautiful. When I was in Norway I picked up a bunch of crochet flowers at a craft sale this is the perfect project for them. Have a great day! Those lavender sachets look beautiful! Great tutorial too!